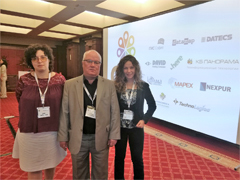 The company "Geodetect", a partner of KB "Panorama" in Bulgaria, took part in the conference "World GIS Day 2018". The event, held on November 14, 2018 in Sofia, was attended by representatives of leading global companies in the field of geographic information systems. Specialist of the company "Geodetect" Yana Angelova presented the presentation "Geoinformation platform "Panorama"- the basis for building information systems for various purposes". The listeners were shown the capabilities of GIS "Panorama" for automating the processes of creating and editing digital maps and city plans, exporting and importing data, connecting spatial databases, control of the quality of cartographic products, publishing and using geoservices, building three-dimensional terrain models, performing measurements and calculations, thematic mapping and various types of spatial data analysis. The presentation caused genuine interest among the audience, there were many questions and congratulations to the speaker. 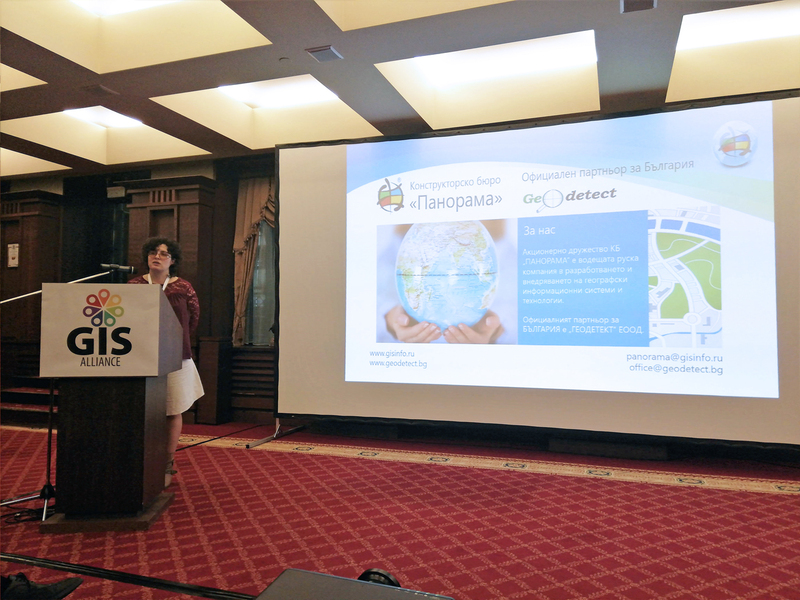 You can get acquainted with the presentation in Bulgarian on the official page of the "Geodetect" company in Facebook. 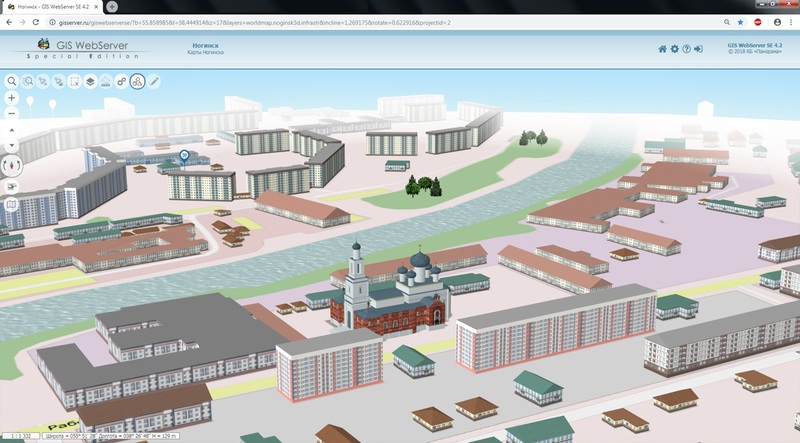 Geoinformation technologies of KB "Panorama" are presented at conference in Sofia 1 GIS "Panorama"
In KB "Panorama" the GIS Server version 8.2 is developed. 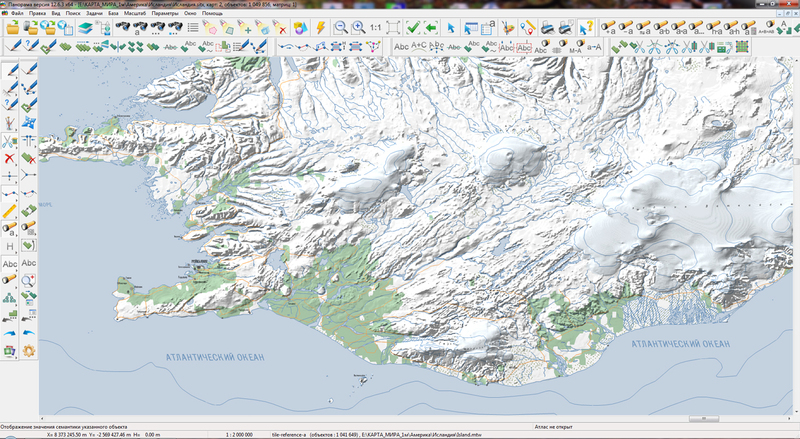 The new version adds support for displaying and editing vector maps hosted on a server that are larger than 4 GB. Into parameters of creating backup copies of data sets the period of storage of backup copies in months was added. When updating a dataset and forming a regular copy, it checks and deletes copies created by a specified number of months earlier. If in the current year fewer months have passed than specified in the settings (for example, 5 and 6), then folders will be deleted starting from the year before last and earlier, that is, by year. Support of the software license for program work (without a USB dongle) is added. The tools for loading data sets into the Databank of Digital Maps and Remote Sensing Data have been improved. The new version allows you to handle special characters (quotes and others) in the metadata added into the dslist data list. 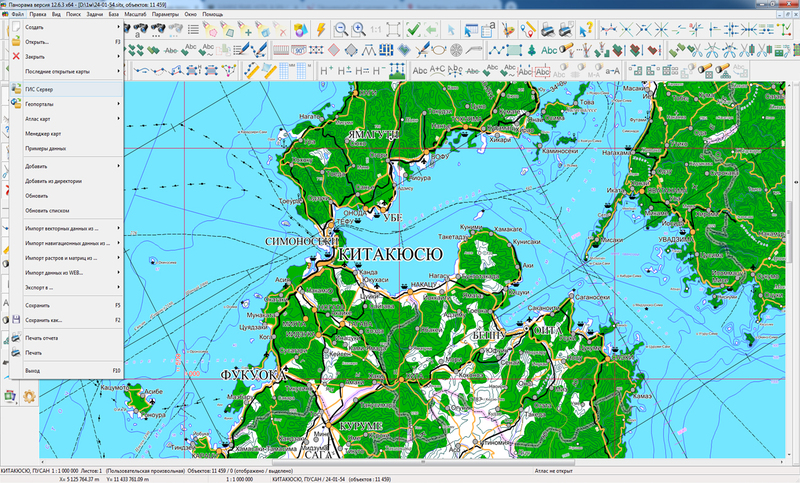 Ability is added for loading into the database of marine navigational charts of S57 standard, packaged in ZIP format. The composition of diagnostic messages when updating vector maps is clarified. The formation of two types of protocols (extended and short) are implemented when loading the data sets. Advanced tools of event logging increase the reliability and fault tolerance of the application, speed up the search for errors and decision-making by the administrator for changing the server's hardware. 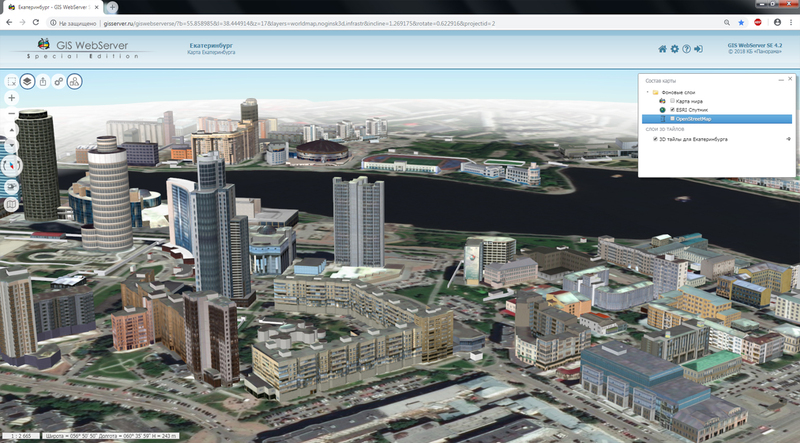 In the new version the tools of remote administration of working the Server GIS in web are expanded. Ability is added for deleting a directory with files inside a virtual folder by the command of a client. 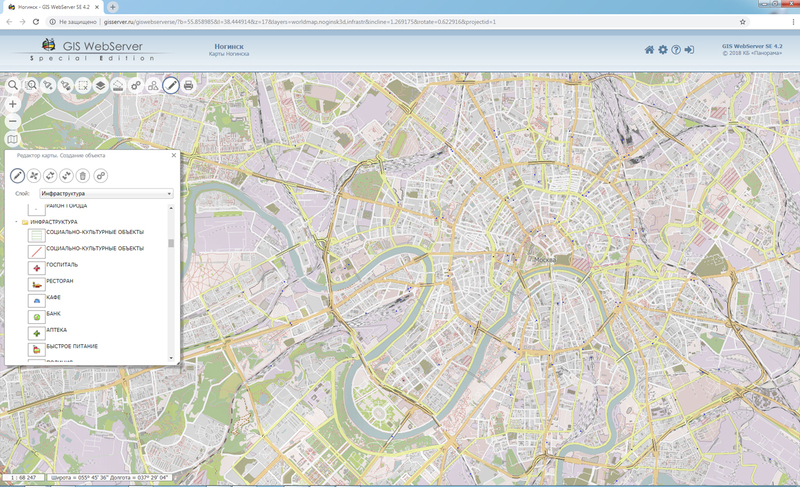 The sorting of the vector representation of the spatial database has been implemented to speed up the display operations after multiple updates. 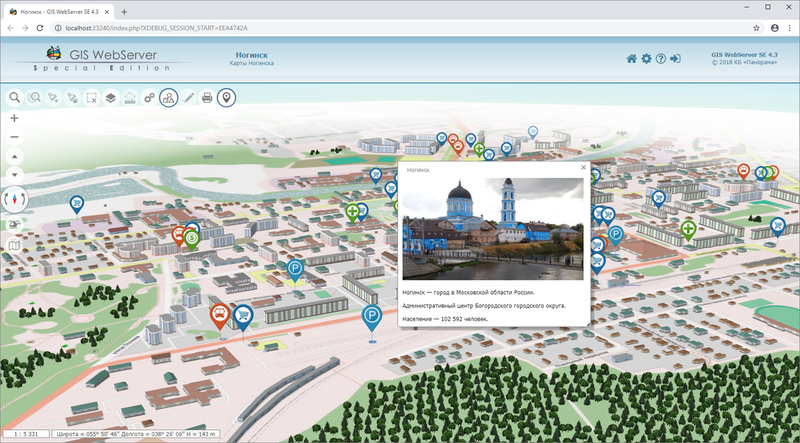 For supporting a single distributed geographic information space, the GIS Server provides multi-user access to spatial data for application servers (GIS WebService SE) and desktop clients (GIS "Panorama", GIS "Operator" and others). 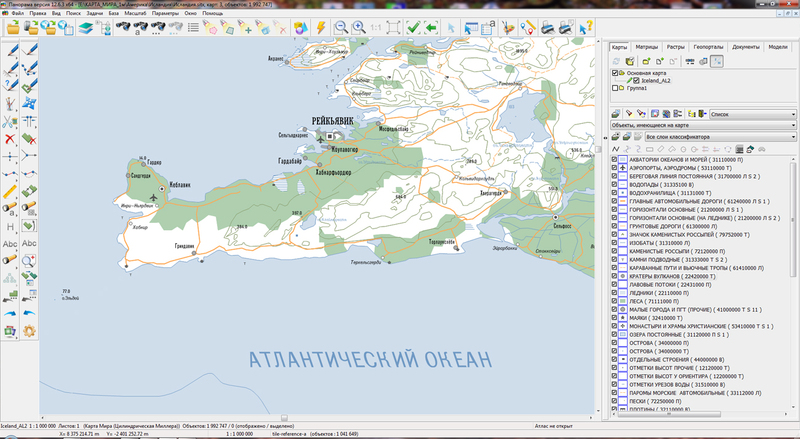 The server performs the change of the geospatial data bases by the requests generated through the graphic interface of the GIS "Panorama", GIS WebServer SE by means of editing digital maps of the terrain. Multilevel connection of servers among themselves is supported for the distributed storage and processing of spatial data with automatic replication, backup and data protection. In a map the ability to set its maximum dimensions is realised. 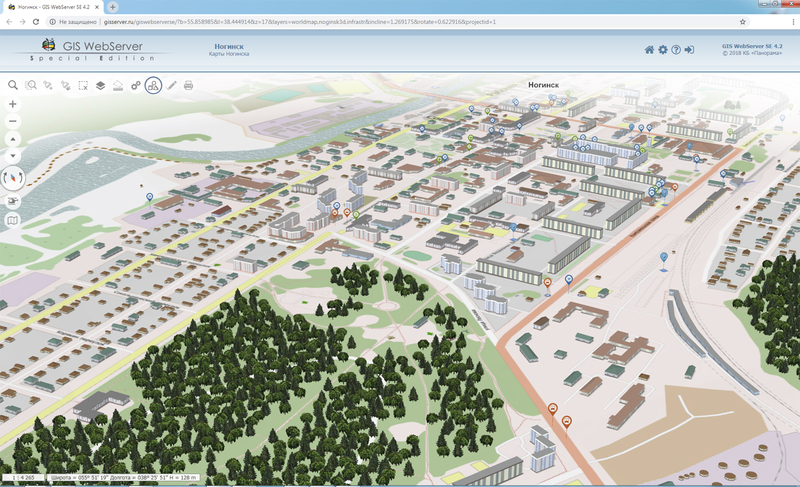 The operations of moving the map, searching and selecting objects are performed within the established dimensions of the map. Into local layers of a map the display of titles for point objects is added. The text of the title can be output from the local layer classifier file, the geojson file, or set by default parameters. Loading the classifiers of map layers is optimized. The interface of the map user is updated. In the administration module the registration and setting up rights onto user's controls is added. 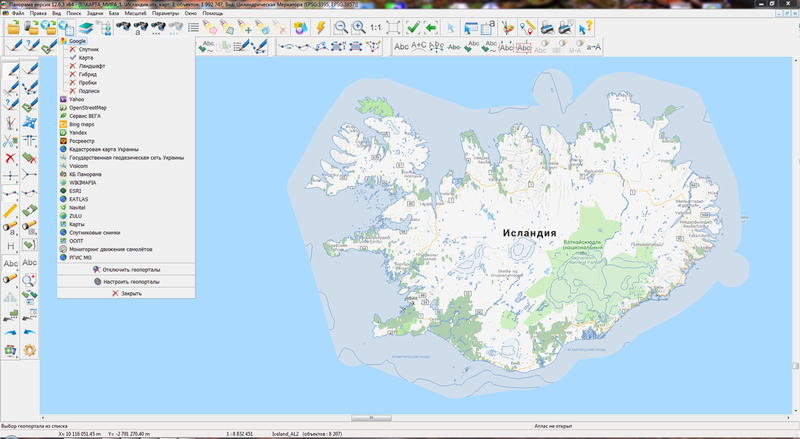 KB "Panorama" prepared a digital geographical map of scale 1: 1 000 000 in format SXF onto the territory of the state of Iceland. VMap0 data obtained according to information from the website www.gis-lab.info has served as source for map's preparation. 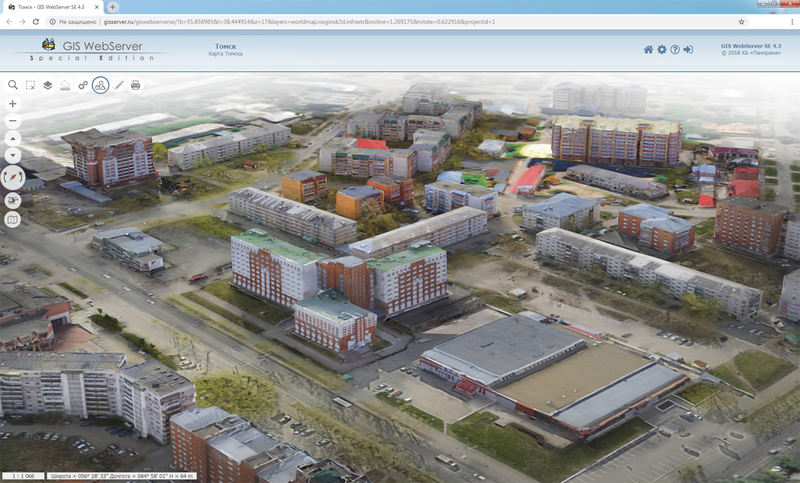 In KB "Panorama" the Imagery Service version 8.3 is developed. In the new version, the service provides preparation and synchronization of pyramids of tiles with spatial data bases in near-real-time mode. For example, to update a spatial database containing about 10 million objects in 12 layers, the speed of formation of a fragment of tiles on a screen in Full HD format at a base scale of 1: 10 000 on an average is 50 ms. Acceleration is achieved through the internal architecture of the service. Using the architecture of distributed and parallel computing can significantly simplify the process and technology of user interaction with large amounts of data, reduce the hardware requirements necessary for the functioning of the server. In the new version of the program the mode for removing tiles is added. It allows you to delete tiles for certain territories, scales and matrixes, specified in the program settings. Support for PHP version 7 and higher is added. Service provides updating of pyramids of tiles in formats PNG, PNG8 and JPEG. 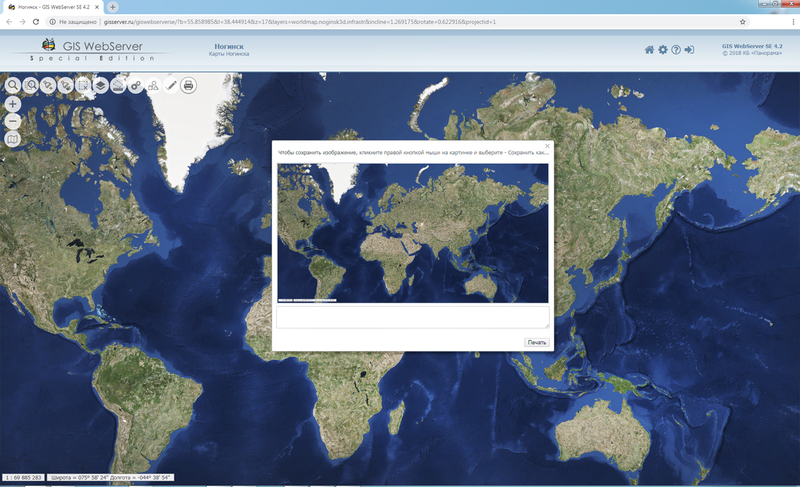 It allows you to maintain tiles up-to-date on the data hosted on the GIS Server. 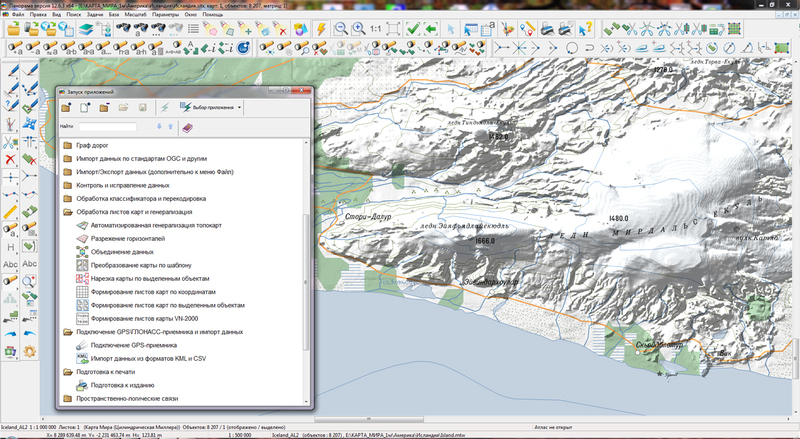 Pyramids of tiles are published according to the OGC WMTS protocol by service the GIS WebService SE. 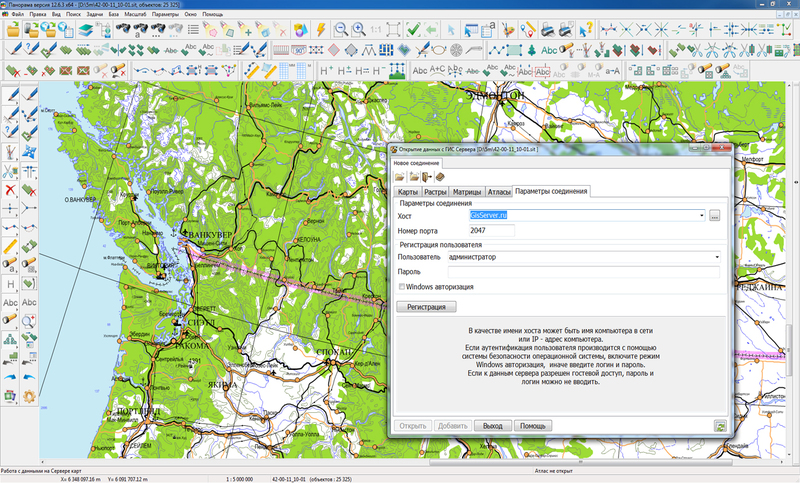 GIS that support the OGC WMTS protocol and users of the GIS WebServer SE program can be the clients of the service.